Close to the Tranquil Otter you will find some of Cumbria’s hidden gems. It’s a chance to get away from the Lake District crowds and discover the delights of the Solway Coast and Eden Valley. 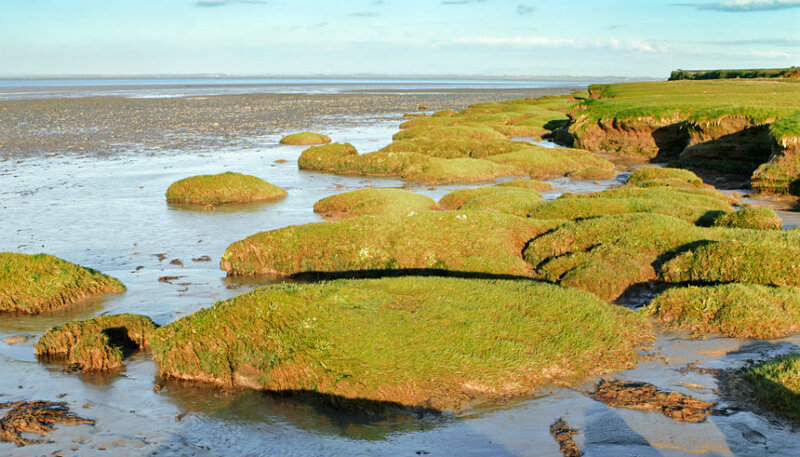 This coastline, which is an Area of Outstanding Natural Beauty, has many extraordinary and important features such as wild salt marshes, mud flats and dunes that are all protected for future generations. There are wonderful walks along the coastal path, or you can cycle around the many pretty Solway villages. The area is popular with birdwatchers and conservationists as well as short-break visitors who want to get away from it all. 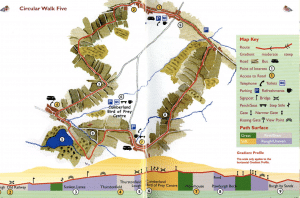 Click the image below to download The Solway Villages Trail walk. 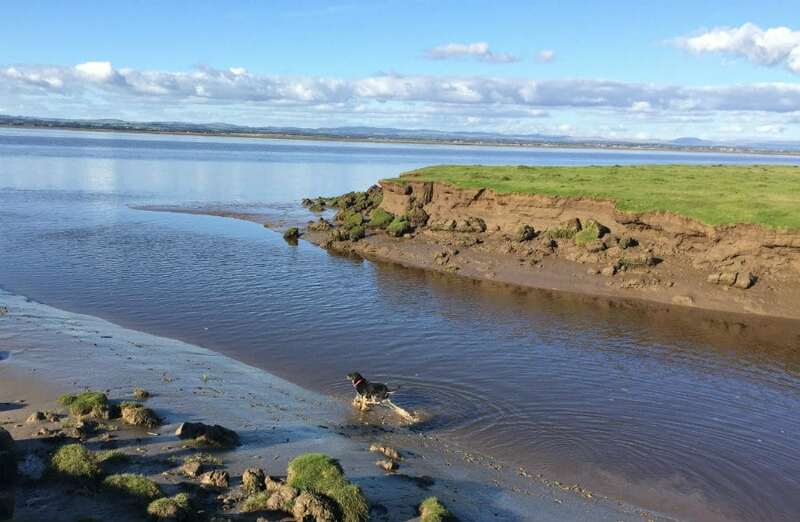 The Tranquil Otter is a short drive to some of the county’s hidden gems and unsung heroes such as the unspoiled Solway Coast, which is a designated Area of Outstanding Natural Beauty and stretches from Rockcliffe in the north to Maryport in the south. The area was inhabited by Romans, Vikings, and the notorious Border Reivers before being shaped into the way you see it today. This coastline has many extraordinary and important features such as wild salt marshes, mud flats and dunes that are all protected for future generations. To read more about The Solway Coast click here. Burgh by Sands, historically significant and close to Hadrian’s Wall has fended off many invasions from Scotland. On one such expedition to fight Robert the Bruce, Edward 1, aka Longshanks, died on Burgh Marsh 7th July 1307. The dead King lay in state at St Michael’s Church, Burgh by Sands before being taken to his final resting place in Westminster Abbey. Was it here that Excalibur was forged? The church was once the site for a Roman fort and legend has it that it’s where King Arthur died and his Sword Excalibur was forged. The area is popular with birdwatchers and conservationists as well as short-break visitors who want to get away from it all. To read more about the history of Burgh by Sands click here. Tranquil Otter guests also rave about the many beautiful villages and beauty spots in the Eden Valley, which lies between the Pennines and the Lake District. As you would expect, it follows the river Eden, which, is one of the few rivers in the UK that flows northwards. It rises in Mallestang and heads northward to join the Solway Firth. 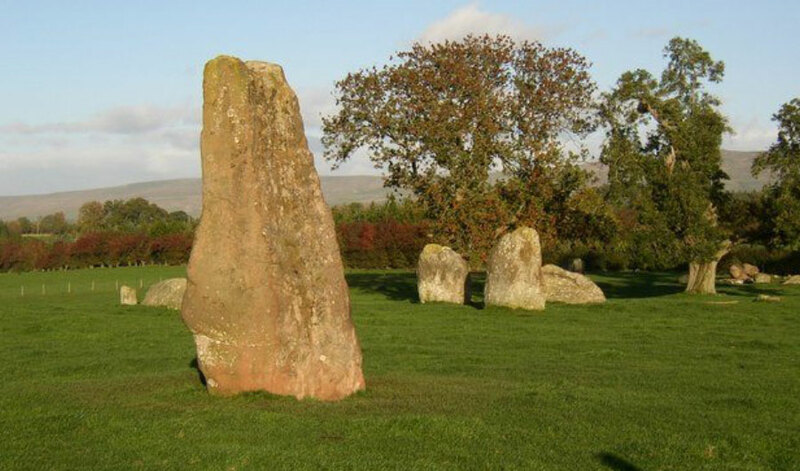 We’re particularly fond of the villages of Little Salkeld where you can see the ancient stone circle called Long Meg & Her Daughters, and Lanercost Priory, a 13th-century church and one of the county’s best-preserved monasteries. To learn more about The Eden Valley click here. The Tranquil Otter is located around a private lake (known locally as The Lough), and nature reserve that’s is a Site of Special Scientific Interest (SSSI) because of the variety of wildlife, flora and fauna. You can get up close to nature when relaxing in your hot tub from the lodge terrace, or you can row across the lake in your lodge’s boat on a crisp, sunny winter day. Each lodge has a log burning fire, Smart TVs and superfast broadband for days when you want to snuggle up and stay cosy. You can watch the wildlife around the lake from your lodge and totally relax. To check availability at The Tranquil Otter, click the link below.